Big Sur is the coastal California town nestled into the cliffs nearly 5000 feet above sea level, known for sweeping views of the Pacific Ocean. We ventured south from SF to explore the coastline and ring in the New Year among the redwoods. Our ride for the week, courtesy of Turo. On our second trip to Big Sur, we returned to Ventana Inn + Spa. Perched on the coast of the Pacific Ocean, we begin each morning with yoga or a dip in the Japanese hot baths. Japanese Hot Baths at Ventana Inn + Spa. Want more? Visit Ventana Inn + Spa. Big Sur Bakery for many is a mandatory stop along Highway One, and you'll likely dine here more than once. We dropped in for dinner and followed with breakfast. As the name suggests, don't skip the bread here. Bonus points for the oven fired pizza. 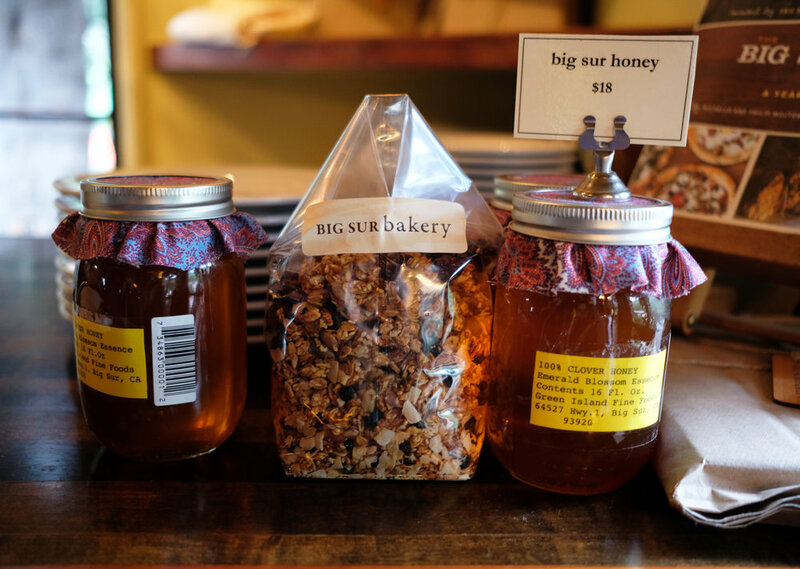 To learn more, visit Big Sur Bakery, here. Rustic meets the redwoods at the Big Sur Inn's cozy restaurant, Deetjen's. Since the 1930's, Big Sur Inn has welcomed guests as a stop over along Highway One. A candle-lit dining room and roaring fire welcomes guests, while the kitchen serves hearty meals deserving of the space. Dishes such as roasted rack of lamb, seared duck breast, and filet mignon. To learn more, visit Deetjen's here.